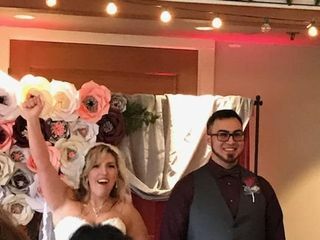 I chose to have my wedding at Mccormick woods because of the amazing service, responsiveness from the venue coordinator and because of the amazing price. 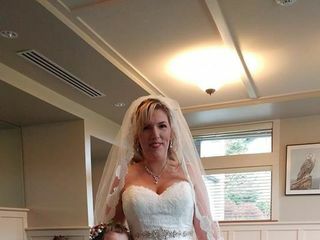 My husband and I didnt want to go into debt planning a huge wedding. What we thought we wanted at first was a small wedding with about 25 people. That turned into 100-150 very quickly. My point of contact with the venue was the coordinator, Stephanie. From the beginning she helped me plan an all-a-cart wedding. Meaning, I didnt want one big bill for all these things a didnt want, I wanted to choose the things I wanted. She helped me pick and choose things like food, the number of chairs, linens, and the choice of an outside or inside ceremony with a reception as well. She was beyond amazing!! I told her what I kind of wanted (which was to spend less than $5,000 for 100-150 people and she made it happen. She answered all my emails, all my phone calls, and all my questions right away. She was so helpful. The venue is AMAZING for the price. My husband and I got exactly what we wanted. The grounds outdoors are beautiful (we had an outside ceremony.) And the reception we had inside and outside on the patio was beautiful as well, with all the twinkling hanging lights. The food was very well priced. They usually charge an outside fee for bringing your own deserts but they waved this for me seeing how I wanted something different, I wanted to make my own doughnut cake. Haha. They are very flexible in what they can be in. I was also able to have sparklers (outside for our exit) and lit candles. Candles just had to be in a contained space (we put them in lanterns) and I had to have a water bucket (which they offered to supply) outside to put them in after we were done burning them. The grounds have so many beautiful places to take pictures. Also, its convenient that they have 2 rooms downstairs you can rent for a very small fee (one for the bride and brides maids and one for the groom and groomsmen.) I would recommend this place a thousand times to anyone and everyone. 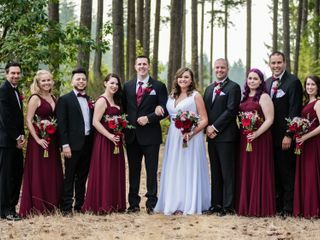 I had an amazing wedding and they have amazing staff. I initially booked by wedding at The Edgewater House. The bill ended up being double then what was originally quoted. I had already sent Save the Dates and was worried I would not find a venue. Kim Yarger at McCormick was soooo helpful. She was very accommodating and willing to work with our budget (since we lost a $2500 deposit at Edgewater). The bartender was able to serve signature cocktails for us. The food was amazing! The staff had everything set up beautifully. I do wish there was more instruction for the rehearsal and the day of event however I do think they offer that service at a fee. I have attended so many weddings and each one had their own theme and each and everyone of them were so beautiful! The staff was so helpful and very attentive! I will always recommend McCormick Woods to everyone who does not know about them! I love this place! Just beautiful!!!! Beautiful venue and amazing staff! We've attended many events here and would recommend this amazing location over and over again. Many wonderful memories were made here! Hi Annaliza! Thank you very much for the wonderful review. We sure hope we can host another event for you in the future! We love our McCormick Woods customers and you are one of our best! We love McCormick Woods! For our 15 year wedding anniversary, my husband and I decided to surprise our family and friends by renewing our vows. We never had the big wedding...so this was our chance. With the wedding being in the middle of winter, the weather was our biggest obstacle! The staff at The Clubhouse helped us make sure everything ran flawlessly. The venue provided the most intimate and romantic setting for this special night. The food and drinks were wonderful! We never felt any stress leading up to or during the event. We will always recommend this place if you are looking for the perfect venue! We came here for a company Christmas Party and the location was decorated beautifully. Kim was very detailed when planning the event, bringing up lovely ideas that we would have never considered. She also had the room we were in spaced out nicely so that everyone could interact with one another, which made the event very intimate. It was decorated with lights and a Christmas tree- a very special occasion for a hardworking staff. We felt spoiled and are very appreciative of all that Kim did to be sure we had a memorable evening. Because of her attentiveness, we will definitely be back for Christmas parties.. one of our co-workers even ended up scheduling her wedding here! Five out of five! My wife and I chose McCormick Woods as our wedding venue. I considered myself to be a demanding bride and from start to finish my expectations were exceeded. Their entire staff was respectful, hard working and fun. Just before our outdoor ceremony was to begin it started to rain. We decided that it would be best to move the chairs under the outdoor pavilion. The chairs were moved from the gazebo area to the pavilion. Minutes before the ceremony the rain stopped and we were asked if we'd prefer to be in our original spot. It felt like the entire McCormick Woods staff came out to help move the chairs back for the third time...and they were happy to do it. The ceremony was beautiful. Our reception, dinner and dance was inside. The food was delicious (apps and dinner)! One of our guests had an food allergy and the chef came out to speak to her directly about it. We felt catered to the entire time. 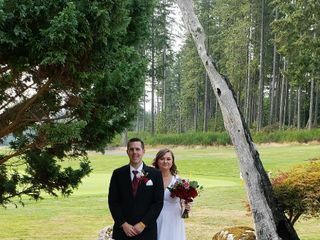 Many of our guests said that our wedding was the best they had ever been to! 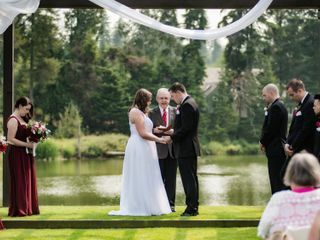 If you're looking for a beautiful venue in the Kitsap County area, McCormick Woods is it! Tiffany and her staff make you feel like family! There isn't a venue that can compete with all it has to offer. 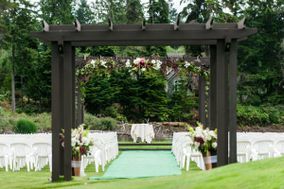 McCormick Woods provided the outdoor venue for my daughter's wedding ceremony and the reception was held in their banquet room. The site is beautiful. Lanie, Event Coordinator, is wonderful to work with. 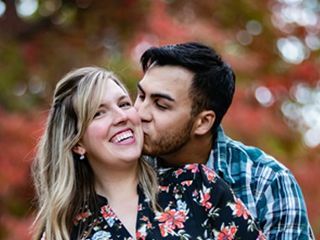 She was prompt in her emails and was always open to meetings, She worked with us from January 17 (day we booked) until the day prior to the wedding. 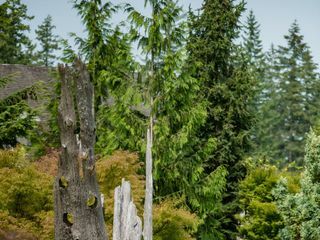 She provided answers to all our questions and was always gracious and pleasant, The site itself is beautifully maintained and the staff is professional and great to work with. I would highly recommend this venue and would love to have another wedding there if the need arose. As a wedding photographer, I have the privilege of working with many venues, but McCormick Woods will definitely stay on my list of favorites. I photographed a wedding here in November for Garrett and Megan's wedding. I appreciated that Stephanie checked in with me on the morning of the wedding and gave me details on how they were planning to transition from ceremony to reception since both were held indoors. The grounds are GORGEOUS, and the indoor area for the ceremony and reception had beautiful lighting strung across the ceiling. I can't wait to come back for a summer wedding and take advantage of the beautiful outdoor areas! We have been to several events here...Oktoberfest, dueling pianos, comedy night and local fundraising events. I have made several recommendations to friends getting married to check it out. It's beautiful and the staff is wonderful! 5 stars for us!!! Upset that the putting green was not actually closed like we were told that it would be. Not that staff didn’t try. But we felt it should have been more explicit to the golfers. Not that they shouldn’t still get to practice but maybe better communication from the Restaurant/Club staff to the Golfing staff?